The 4WD track Balfour / Greenes Creek Road junction is app. 5 km south of Temma, near Smithton on the far North West Coast of Tasmania Balfour is 16 kms in an easterly direction from the junction; the Balfour Track is rated ‘hard’ because of a 70 metre long canal-like stretch of water along one section; otherwise the track is rated medium 4WD standard. The Balfour Track connects Sandy Cape Track with Western Explorer Link Road. It is common to experience deep water hazards on the Balfour Track, so caution is recommended. Under the Arthur-Pieman Conservation Area Management Plan 2002, all vehicles using the Balfour Track require a written authority from the Parks and Wildlife Service Tasmania. Visitors are asked to report to the Parks office at Arthur River to obtain advice on local conditions before starting their trip. Interesting features at Balfour are the unique settlement, historic cemetery and old mine sites. Start at Temma on the North West Coast of Tasmania near Smithton and head South app. 6 kilometres to Possum Creek. You will see Mount Balfour less than 3 kilometres after leaving the Sandy Cape Track, where you will experience dangerous side slopes. The first part of the track is considered HARD. After 4 kilometres you will come across a large water hole. It is not uncommon for people to try and go around the water hole across the Buttongrass Plain, however this is not recommended. Keep left, drive slowly and cover your radiator and front of the car with plastic to minimise water entering the engine bay. After 6 km you will come to a bridge and then after a further 3 kilometres a further deep water hole. Again, take care and avoid going across the Buttongrass. Continue on and after 14.5 kilometres you will come to the Western Explorer Link Road. Turn left and return to Arthur River or continue on to Smithton. It is common to experience deep water hazards on the Balfour Track, so caution is recommended. Never travel this track alone, and be well prepared in case you get into difficulty. 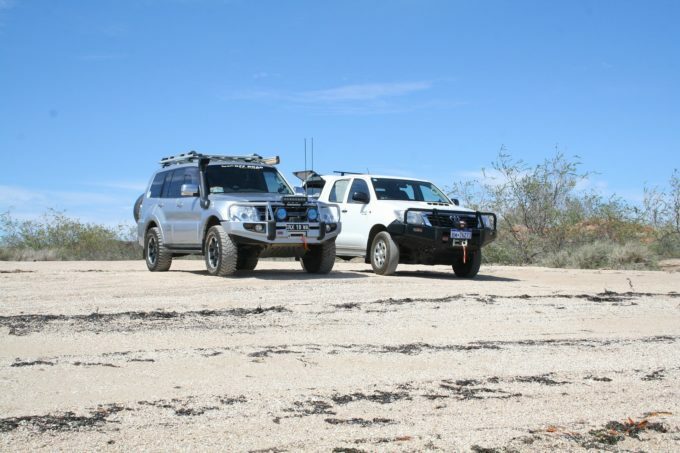 When planning to complete the Balfour four-wheel drive track, make sure you are accompanied by another vehicle at least and carry recovery gear. As it is necessary to traverse water, make sure you have a tarpaulin or similar to cover your radiator and other equipment sensitive to water. Under the Arthur-Pieman Conservation Area Management Plan 2002, all vehicles using the Balfour Track require a written authority from the Parks and Wildlife Service Tasmania. Visitors are asked to report to the Parks office at Arthur River to obtain advice on local conditions before starting their trip. Interesting features at Balfour are the unique settlement, historic cemetery and old mine sites. The Balfour 4WD track offers an option to leave the area by a different route; there are two easy grade alternatives. Return along the Balfour Track to the Western Explorer Road junction and proceed north approximately 9 kms to the junction with Blackwater Rd (Grid Ref 206375). Take the left route to return to Arthur River via Temma Road (16 kms to Temma Road junction). The other options is to turn right and travel 17 kms along Blackwater Road to Kanunnah Bridge. From here return up the sealed road to Smithton or take the alternate Forest Drive to Roger River.